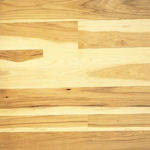 There are a variety of considerations when choosing a wood floor for your home or business. Wood floor species is one primary consideration. 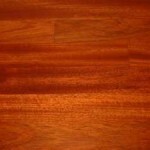 Hardwood species vary in durability, grain patterns, and color. Oak, maple, and cherry are among the most common species due to their hardness. Exotic woods like mahogany, and Brazilian cherry aren't as durable, but are prized for their striking appearance. Explore the varieties of wood floor species below, and be sure to contact the wood flooring experts at Atlas Wood Floors Inc with any wood floor questions or for a FREE estimate. 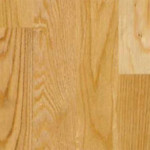 The most popular domestic wood species for hardwood flooring, Red Oak is known for having moderate to heavy graining with moderate color variations. Coloring of Red Oak ranges from light creamy reddish pinks to shades of brown. Red Oak varies from White Oak due to the fact that it has pinkish undertones, whereas White Oak has golden/brownish gray undertones. 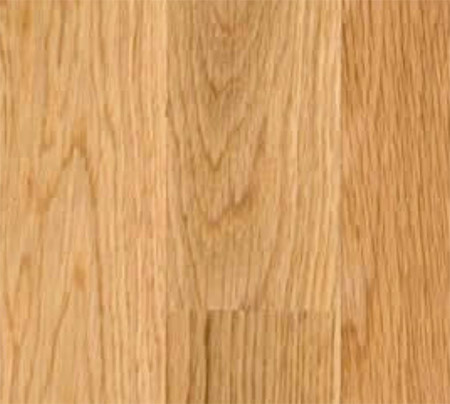 White Oak is a domestic wood species similar to Red Oak, but harder on the Janka Hardness Scale (Red Oak is 1290). 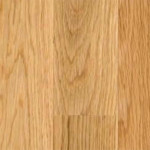 Natural Coloring of White Oak ranges from golden/browns with gray undertones. 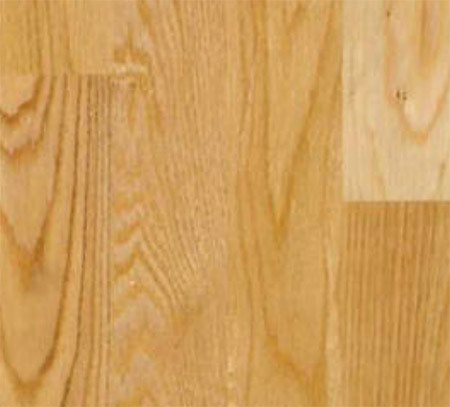 Because of the harder grain White Oak flooring takes stain colors very evenly. 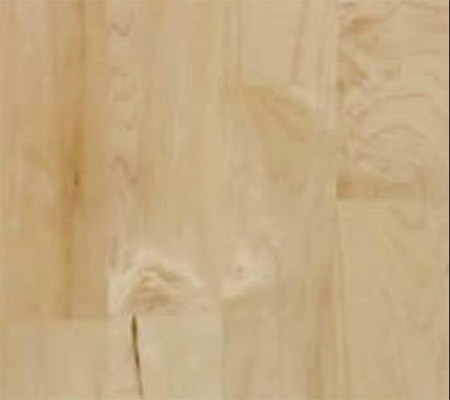 Found mostly growing in the northern regions of North America and Canada, Maple hardwood flooring is a very pale, creamy white color with slight shade differences from board to board. Depending on the grade chosen, Maple flooring can contain minimal to a lot of brownish/black mineral streaks, Clear grade maple has the least of this streaking. American Cherry Wood Flooring is a softer wood species than some of the others but you would find it hard to find another wood species that has such wonderful graceful graining and color. 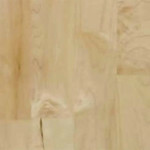 This wood species has a very distinctive charm and is popular because of its natural color variation from board to board and its warm natural color. The species Birch can be broken down into two varieties of hardwood flooring: Yellow Birch and Red Birch flooring. 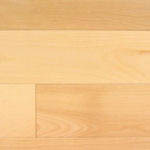 Some manufacturers of hardwood flooring offer collection of both varieties, some only work with Yellow Birch. Red Birch refers to the heartwood stock of the Birch tree, which is generally a golden brown color with some red undertones. 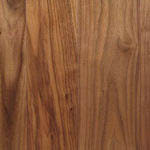 Also known as Black Walnut or American Walnut, this wood species usually has fine, straight graining and coloring is a rich, almost chocolate brown. Homeowners like the natural color of Walnut flooring and the warmth it automatically adds to a room. 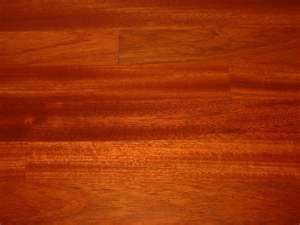 Hickory is one of the hardest domestic wood species and is highly popular because of its natural color variation and unusual graining. Coloring for Hickory Hardwood flooring can range from creamy whites to medium browns (with even darker browns in some rustic grades). 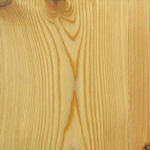 Pine is another very soft domestic wood species. It is known for small to medium to large knots and pitch spots. Pine flooring fits well in country settings and is often offered as a "reclaimed floor" and in wider than usual board sizes. Yellow Pine is somewhat an unstable wood species and it is common to see open gaps between boards during seasonal relative humidity changes which usually close again during the humid months. Ash is known for color variation from pale white to light/medium brown. Graining is bold and can appear straight, curly or wavy. 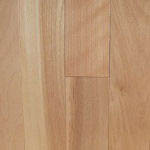 Ash flooring is very similar to White Oak, but adds a bit more excitement to a room with its more unique graining. This domestic wood species features closed, tight and straight grain for the most part with moderate color variation from board to board. 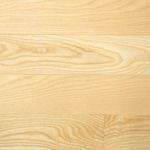 Beech heartwood is a warm brown color with red undertones, while the sapwood is mostly pale tans.